Back in December I was invited to one of the most fun weddings I’ve ever been to, courtesy of my friends Kelly and Jens, who live in New York. 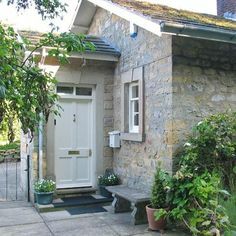 I was a little disorganised in getting a wedding gift before the big day, particularly as the US gift-registries didn’t like my UK bank card, and shipping charges from the UK were a bit crazy. Instead I decided to wait until after the event, and make them a little something to remember their big day by. It’s not the most expensive wedding gift ever, but I like to think it makes them smile every day, and that’s far more important! 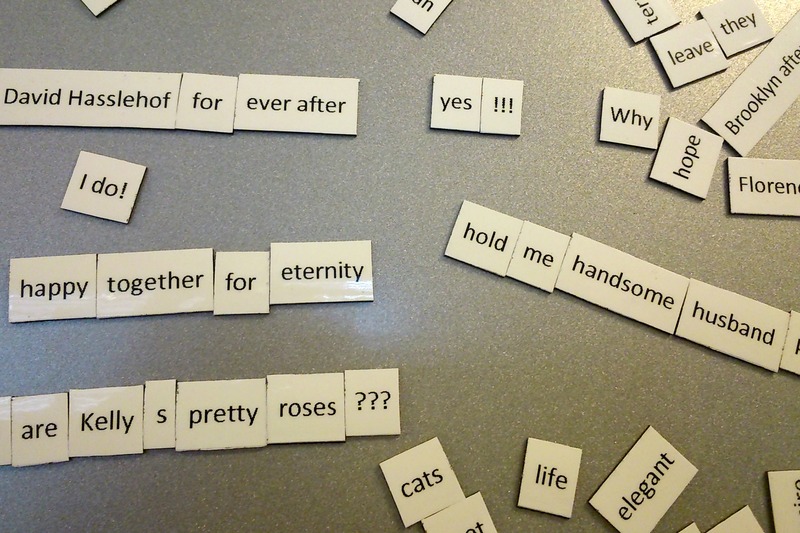 Here’s how I made their special present: their own personalised wedding ‘magnetic poetry’ fridge magnets. 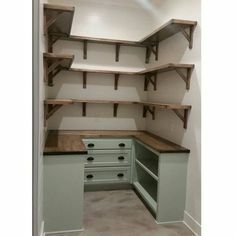 I feel a little bad about saying how easy this project was to actually make, especially since I know Kelly reads my blog, but in actual fact coming up with the right words and phrases to make it special for the two of them was tricky! 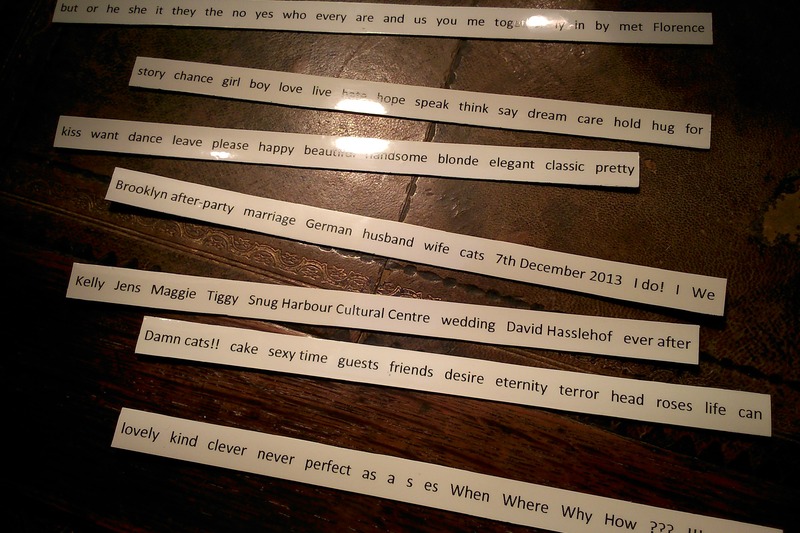 There were the obvious things which had to be in there, such as the date, the location, the names of the bride and groom, and of course the names of their two unbelievably mischievous cats, Tiggy and Maggie, and David Hasslehoff. Why David? Because Jens is German, and as such it was inevitable that the entire Hoff back-catalogue would be played at the reception (mystifyingly, David Hasselhoff really is incredibly popular in Germany). I had no idea he had so many songs, or that I would ever find myself dancing to them at 4am in a bar in Brooklyn. I hope in the end I managed to come up with a good combination of words that were personal to them, words that were marriage specific and words and punctuation that were useful for actually making sentences! I typed all my chosen words into a word document with plenty of gaps between each (I think I used 4 spaces) in the font that I wanted to use. 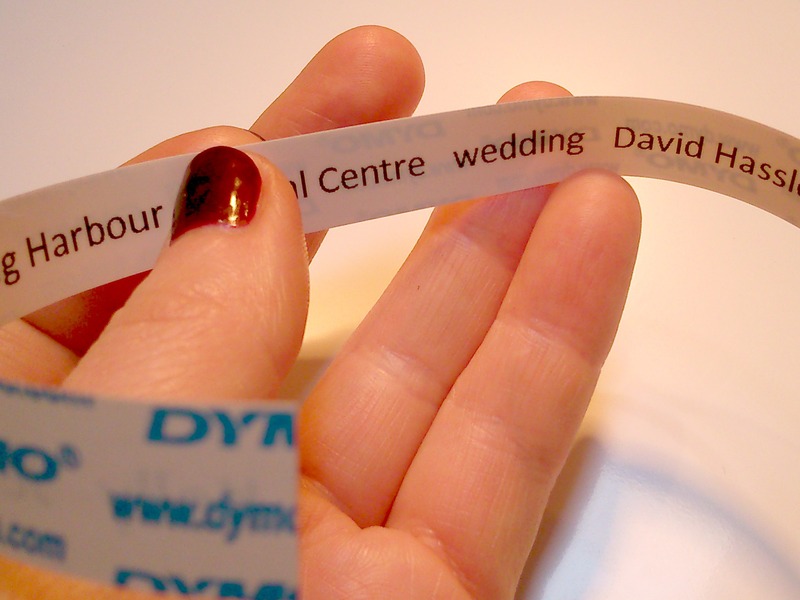 Then, using my favourite gadget ever, my Dymo Label Manager, I copied each line of text into the label composer, and printed it off in black text on white tape. 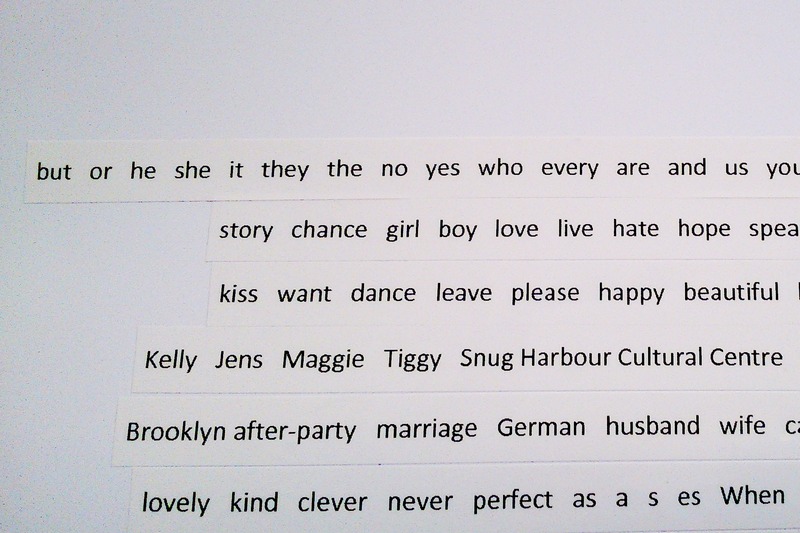 I then very carefully pulled off the backing tape and stuck each row of words to an A4 thin magnetic sheet (which I found on eBay, but most craft stores will also stock it). I think you can probably print directly onto the magnetic sheet with the right kind of printer, but I don’t have one, so this seemed the easiest way to do it. The edges of the labels also provided a very good guide for cutting straight lines with the scissors as I cut each strip out! Doing this again I might try using a guillotine instead, but thanks to the guidelines from the tape edges, I did a pretty neat job anyway. 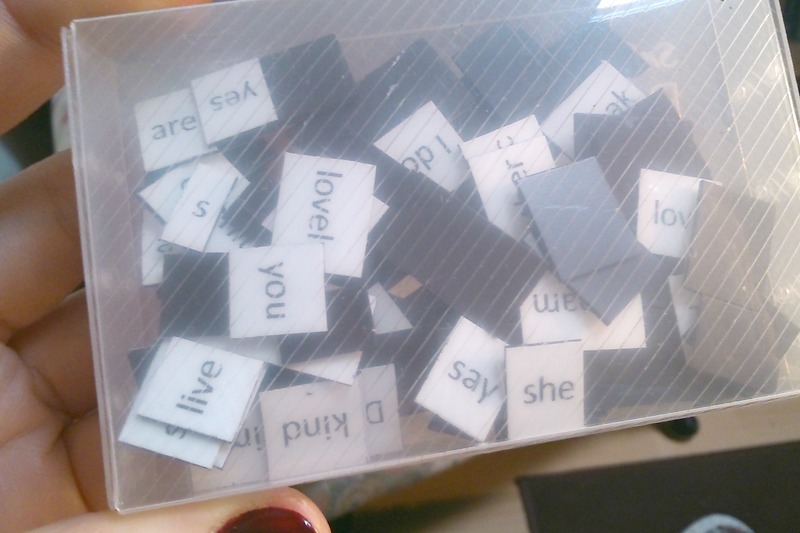 Once cut into strips, I then carefully cut in between the words, making sure to keep any ‘phrases’ I’d used as one magnet. Then came the exciting moment I got to try them all out. This necessitated a moment clearing the fridge of all the menu planners and shopping lists and receipts, but then I had a good few minutes of fun making up phrases and sentences. I boxed them up in a little transparent plastic box (which I ought to have made a little prettier, but it had to get transported to the US so I thought robust was the way to go) and voilà – a wedding present which may not be remotely useful at all, but hopefully makes them laugh and reminds them of the most wonderful day of their lives, everyday. So there you have it. 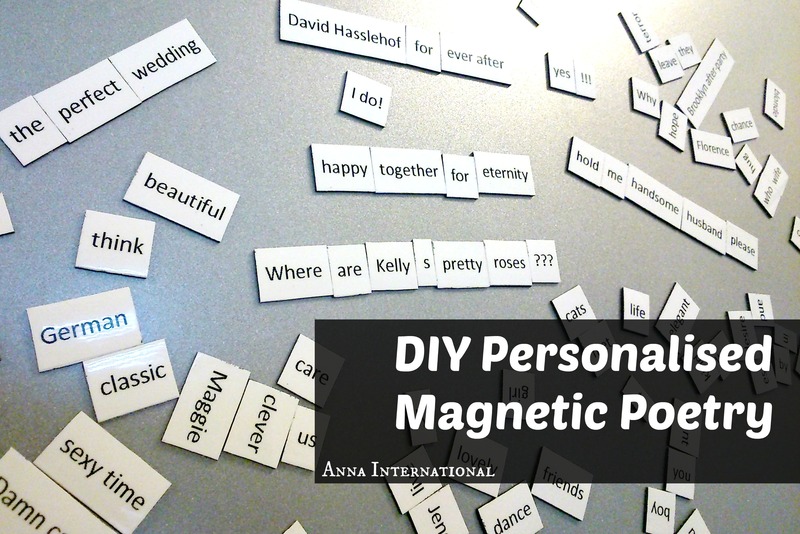 A quick easy way to make your own magnetic poetry. Of course, it entails you having a label maker to follow this exact method, but if not I am sure you could use a regular printer to print onto sticky-backed paper. 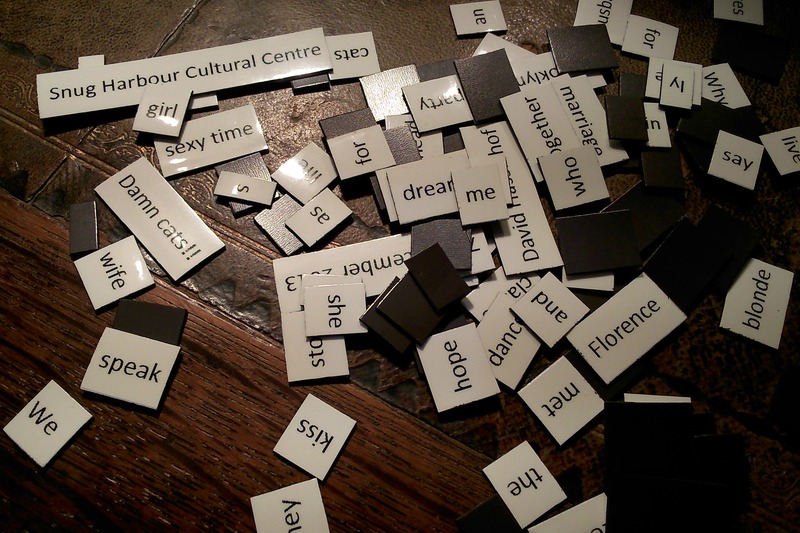 And anyway, it seems everyone has a label maker these days, especially anyone into crafts or home organisation! 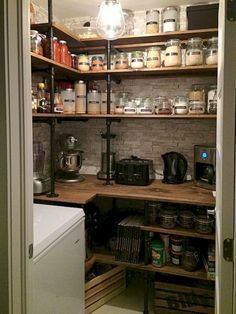 The idea could be used for any kind of celebration commemoration, or just to decorate your own fridge, or maybe to create a family schedule or meal plan even? 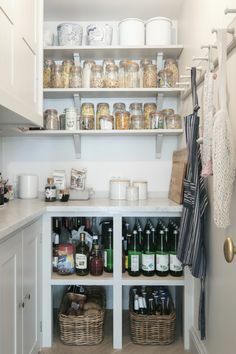 I’m bringing this post to this week’s DIY Sunday Showcase, where I am delighted that once again my project last week has been featured! Shelly from Minette’s Maze chose my beer bottle cap tray DIY as her favourite project of the week. Thank you so much Shelly, and thank you for coordinating such a great link party. I’m really enjoying contributing some of my ideas! 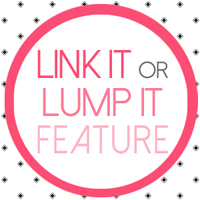 And – happily Alison from Dream a Little Bigger featured this project on the Link It or Lump It party this week! So chuffed, thank you Alison! 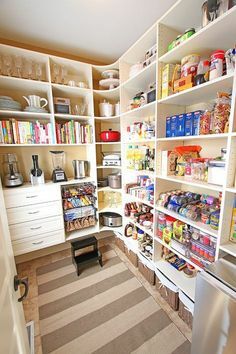 My very first feature at your party!